Teddy Bear Express is a project through Providers Playground email list. 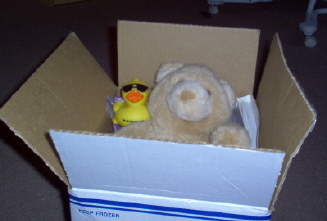 Pamm's House has been chosen as a host and our bear, London, is sent around the United States to other child cares. The lessons from this project are abundant: geography, manners, hosting, etc. 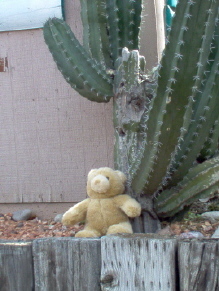 We sent out our bear on February 12, 2005. London is ready for his trip!